Protecting your business is essential! Access control systems have come a very long way since their introduction in the 1970’s. 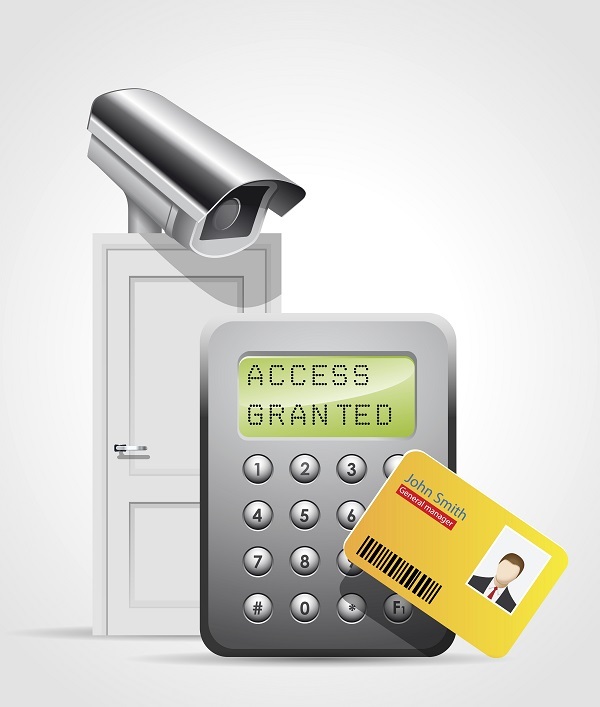 In fact, the early access control systems consisted of super simple keypads or ID cards. However, these days, technology has allowed the security industry to gain momentum and really create access control systems that can almost do it all. Now, even the most basic access control systems provide tracking options, auditing, and reporting. With the variety of new features available for access control solutions, it can be an overwhelming decision as to which one is right for your specific business. And since physical security is a top-priority for many business owners today, deciding on the right access control solution system becomes a critical choice. Here are just a few different options that business owners can choose from when it comes to their access control systems. With this type of access control system, the user purchases or leases equipment from an authorized reseller who installs the system and also provides training for owners and employees alike. In fact, with user-managed on site access control systems, the customer is responsible for all of the programming necessities on a dedicated PC. This includes any data such as updating names or other employee information. Besides the training and the installation, the reseller is usually not responsible for any other information or system procedures, such as monitoring exceptions or changing access privileges for employees. Just like the user-managed on site access control system, the equipment is purchased and installed by a reseller. However, the difference is that the software/server platform is now in the cloud as opposed to a dedicated PC. As a result, all the information contained in the cloud is managed by the software provider including various infrastructure that goes along with it. Furthermore, the service provider is also the one responsible for all the backups, software upgrades, and system monitoring needed to ensure that the access control system works seamlessly. With a remotely managed cloud access control system the user really has very little access to the head of the system. In fact, the service provider handles the majority of the system updates and programming. Oftentimes called ACaaS (Access Control as a Service), larger corporation really finds this type of access control system helpful and extremely useful. This entry was posted on Friday, July 21st, 2017	at 2:45 pm	. You can follow any responses to this entry through the RSS 2.0 feed. Both comments and pings are currently closed.